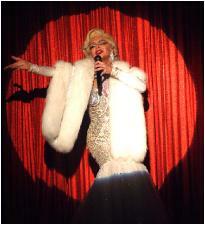 Carnival Cabaret is an unforgettable female impersonator revue, with a cast of all men who portray famous women performers and musical artists. Come see the show that everyone is talking about. Come see why Carnival Cabaret continues to amaze and entertain audiences young and old with special appearances near you! Carnival Cabaret, starring James 'GYPSY' Haake, is a fantastic mix of music, show-stopping performances and our one-of-a-kind host who takes you on an unforgettable journey through musical entertainment's biggest stars in their most memorable musical appearances! Contents of this website are the property of its owner and are protected. Visuals, design and show concepts are all proprietary and should not be reproduced without written authorization of the show owner. All materials Copyright ©Carnival Cabaret - World Rights Reserved. Carnival Cabaret® is a registered trademark. FAQ What to Do in Palm Springs, tourist information Palm Desert, Nightlife, Clubs, Entertainment, New Year's Eve Party 2017 in Palm Desert / Palm Springs - What to do on New Year's Eve in Indio. Dinner and Show - Midnight Entertainment. 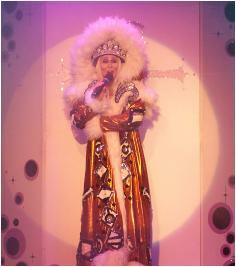 Casinos - musical entertainment and shows for casinos and casino showrooms, bars and cocktail lounges. Carnival Cabaret is a one-of-a-kind show perfect for the Indian Gaming and Gambling establishment, with performers who impersonate famous women of song and silver screen in their most famous on-stage moments. Portrayed by men, the uncanny resemblance created through the magic of make-up, pantomime and artistic dance and mannerisms truly brings to life the performances of the world's greatest stars. 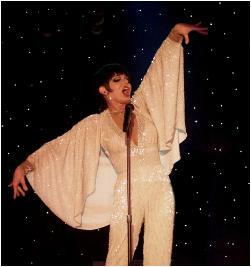 Carnival Cabaret is the only show of its kind, starring the most famous host of the La Cage / Evening at La Cage in Hollywood / Beverly Hills - Gypsy aka James Haake. 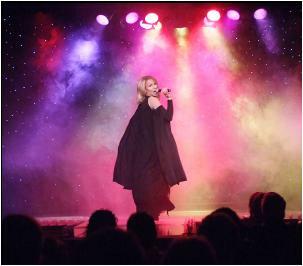 Gypsy takes guests on a wonderful musical journey through time, from the golden days of cinema to the current hits of today's top 40. The portrayals of the greatest musical performers is uncanny. Guests will have trouble believing the women they see on stage are actually men acting the roles of women. These celebrity impersonators are the best in the world, reknown for capturing every subtle nuance and movement of the stars they portray. For more information or to make a casino booking for a show, or for a private party, special event or any requirement in the entertainment field, please contact us. Dan Gore and ICONS entertainment has booked performers for music videos, MTV, Las Vegas shows, major advertisers, media and marketing companies as well as for the stars themselves, either as doubles for movies and television, or for performances designed with duplicate stars in mind. Carnival Cabaret will take your breath away - and the performances you witness will leave you wondering if you truly have experienced the original performance by the original star -- and yet, they are all men portraying the roles of women. It is an unforgettable and magical night of music, make-up and magic. Experience the magic of Carnival Cabaret at your Indian Casino, Gaming Parlor, Card Room or Performance Stage or Piano Bar. Our performances are top of the top! Call us for more information or to receive a quote. Discounts and wholesale rats on multiple performances or long-term calendar bookings available. Ask us about discounts and special rates for your casino performance arena. 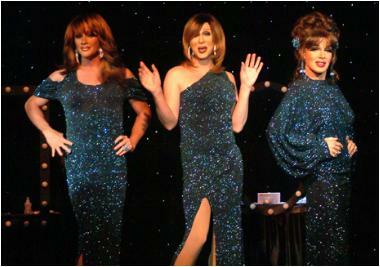 Female impersonators, Drag Show, Live Theater, The Men The Make-up The Magic, bachelorette parties, bachelor parties, stag party. Show was previously at Oscars Cafe so call for more information about location, dates and showtimes.